With autumn just around the corner, a little organizing is in order and why not cozy things up at the same time? 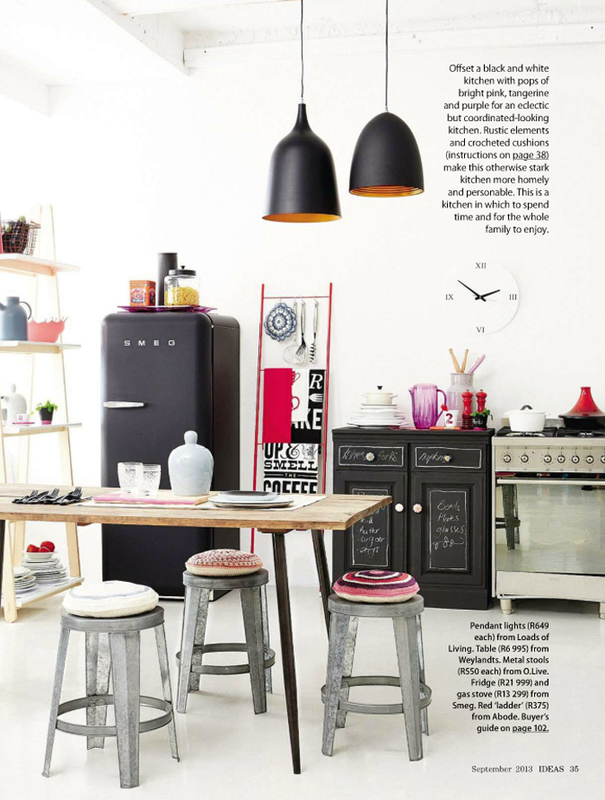 The September issue of Ideas magaine features a heap of inspiration and how-to's for making what looks like a really cozy kitchen. Crochet a stool pillow, or pot holder, update some cupboards with a new coat of paint, do all three and you're set! Photos : Ed O'Riley. The crochet instructions for the pillow are available online through the Zinio. Click here for more info. I love the matte black SMEG. And I still love everything chalkboard. Crazy for the unfitted look! Fabulous accessorizing! 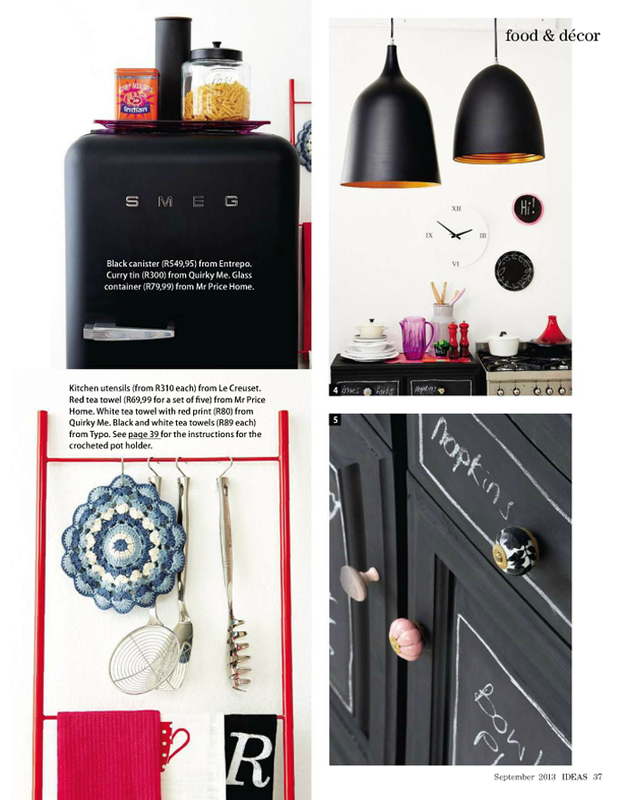 Very nice ideas, and of course great black smeg! Ooh, I love this! Looks so lived in and homey...lots of personality here!